Several winners of the WDCD Refugee Challenge keep on winning awards and other opportunities that help them build their projects further. 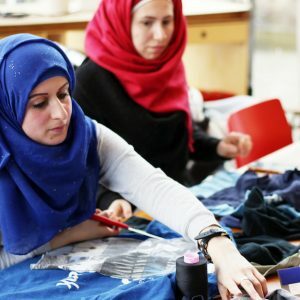 On World Refugee Day we give you a quick update on four of the Refugee Challenge finalists, that have turned into thriving start-ups. Agrishelter, MakersUnite and Eat & Meet Bus are the three finalists of the WDCD Refugee Challenge (2006/2007) that since then have developed into actual social enterprises. The Welcome Card meanwhile is still in the developing phase. In the WDCD Refugee Challenge the challenge partners UNHCR, IKEA Foundation and WDCD asked the international design community for game changing ideas to help improve the reception and integration of refugees. Out of 631 entries from 70 countries 25 nominees and eventually five finalists were chosen. ‘We’ve made quite a progress and Agrishelter now is an actual startup,’ writes founder and CEO Narges Mofarahian. ‘In January 2018 we won a prize in a competition in Italy called “Welfare che impresa”, that called for innovative ideas that can have high social impact.’ The prize yielded Agrishelter 60.000 euros of investment by Accenture foundation, SNAM foundation and UBI bank plus an incubation program in Polihub, ‘the 3rd university start-up incubator worldwide,’ according to Mofarahian. 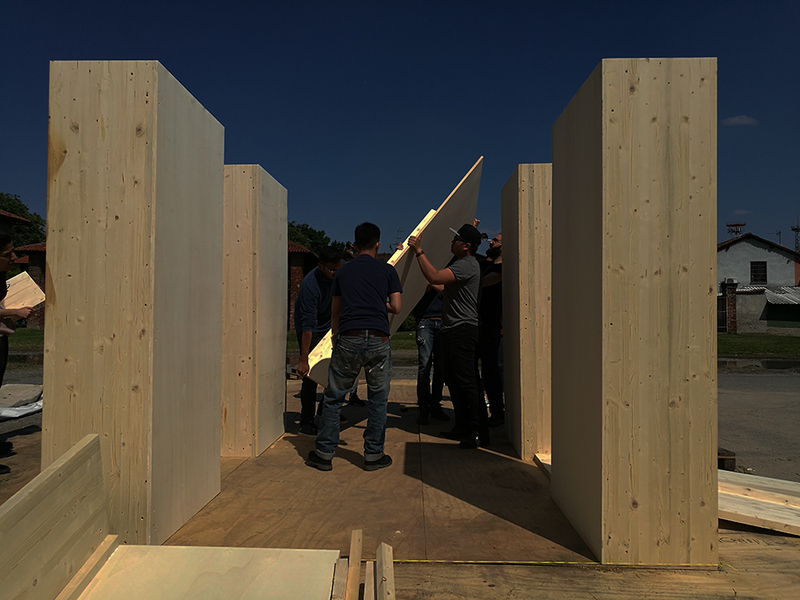 With another 10.000-euro support from other philiantropic organisations, Agrishelter will be able to build the first full scale prototype starting 7 July in a refugee centre near Milan that will be tested by four people living in it for one month. 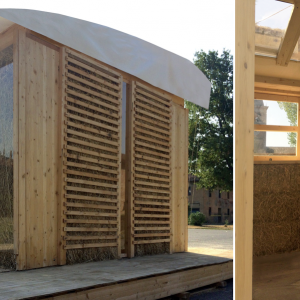 Meanwhile, Agrishelter has been contacted by Bath University for a collaborative project. ‘We have just been announced winners of the EU Social Innovation Challenge to work with the SDG House on a “Diversity Challenge”, where we will bring in newcomers to design and co-create on how Amsterdam can improve “Inclusion of visible minorities, newcomers and more diverse segments of our city population in the SDG House community”,’ writes Thami Schweichler founder and director of MakersUnite. Of all challenge finalists MakersUnite is furthest in its development. 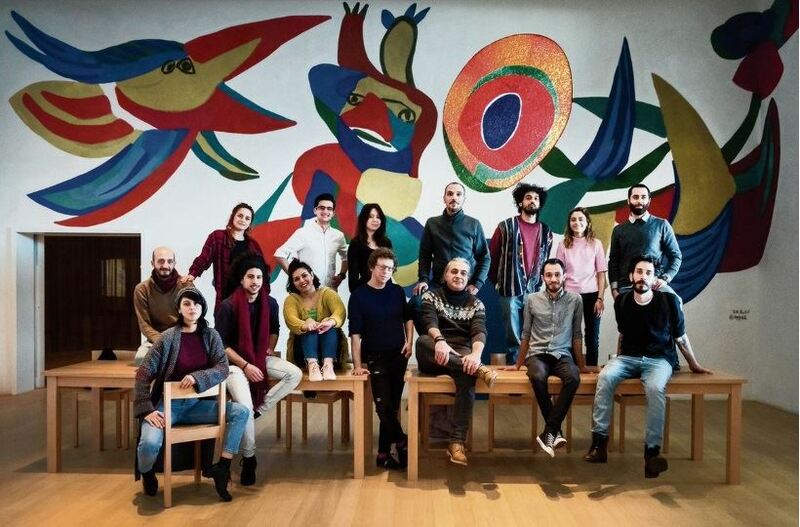 The social enterprise recently was making headlines when a group of newcomer artists were given the opportunity to work and present themselves in the Stedelijk Museum, followed by Dutch writer Arnon Grunberg, who reported on a daily basis on the project in NRC Handelsblad. 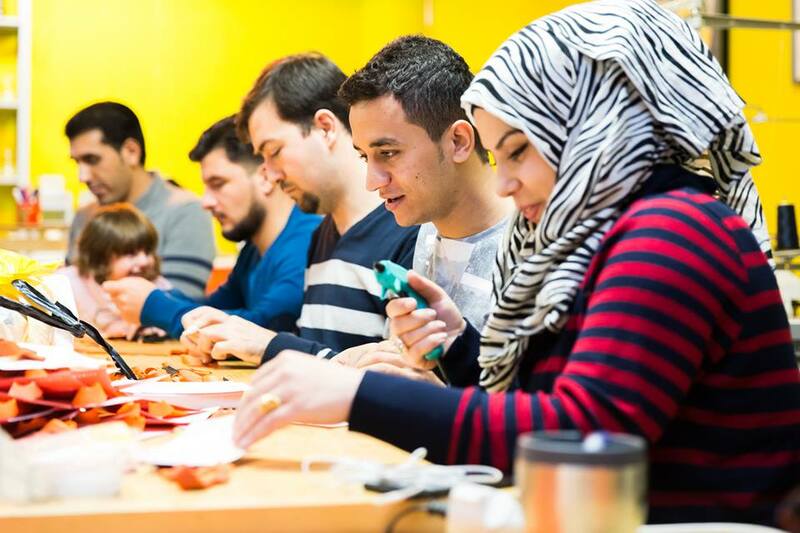 In the meantime, MakersUnite continues to help immigrant designers and artists to find their way in Dutch society through its effective social inclusion programme based on creating sustainable products together. 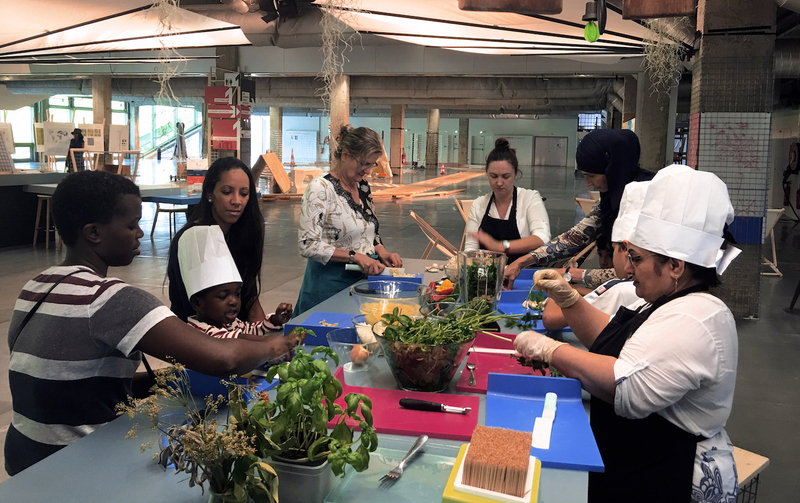 In Paris Eat & Meet Bus has also developed into an active and effective social enterprise that brings newcomers and locals together in the kitchen and around the dinner table. Food is in this project the driver to help people develop skills and confidence, while at the same time stimulating exchange between locals and new citizens. Already Eat & Meet organized many events, working steadily towards the purchase of the much-desired bus that will function as a mobile kitchen and meeting place. The purchase is scheduled for this fall, with the aim to have it refurbished and up and running in the spring of 2019. The Welcome Card project needs more time to develop, which is quite understandable for such a complex project. 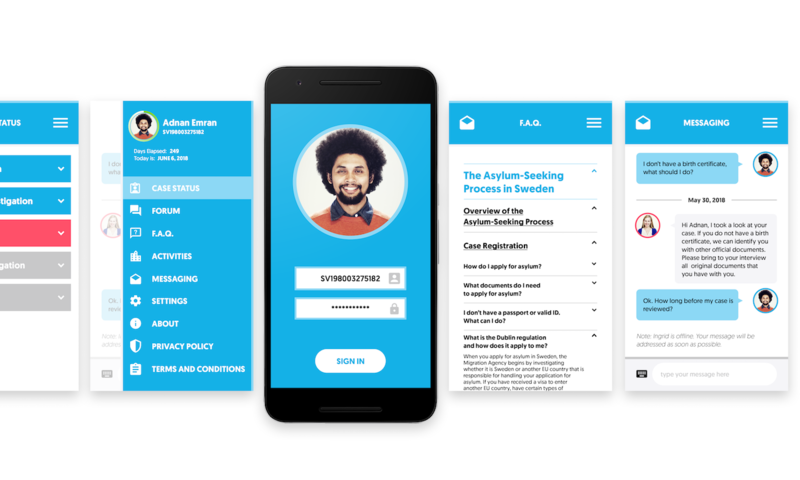 The Welcome Card is a systemic solution, consisting of a digital platform for asylum seekers and the immigration agency to exchange case status updates; and a package of early-inclusion services and activities for asylum seekers and refugees. Early in June Veronica Polinedrio, one of the founding members of the Welcome Card, presented the Welcome Card case in Lexington, Kentucky in the USA. ‘The presentation came at the end of a 6-week collaboration with the University of Kentucky School of Art and Visual Studies, where students and faculty applied human-centred design to improve our digital platform and program our MVP to test with the Swedish Migration Agency,’ Polinedrio tells. 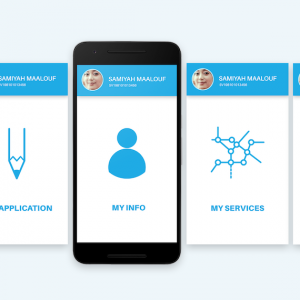 As a result of the collaboration Welcome Card now has a clickable prototype to make the project more tangible. 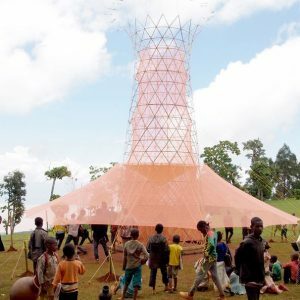 On this day, and in times of toughening policies on refugee reception across Europe, these four projects are heart-warming examples of design’s contribution to making this world a little nicer.